The future of eating is here, and it starts with inhalable after-dinner mints. Technically, that’s how dinner ends, but you get my drift. Among those experiences is an invention called AeroPods, small cartridges of dried food particles and nutrients that allow patrons to inhale the treats using an apparatus called an AeroLife. Right now they’re serving AeroPod mints and chocolates. If that’s not bizarre enough, you can order a Scotch to ingest in vapor form. Just after the ArtScience’s opening, David Edwards, the Harvard scientist who helped dream up so many of the café’s innovations, told the Boston Globe, “Food is the Internet of the current moment. There’s a lot of creativity going on. It’s a forum for exchange.” We don’t totally understand how something can be the “Internet of the moment,” but he’s certainly right about the creativity. 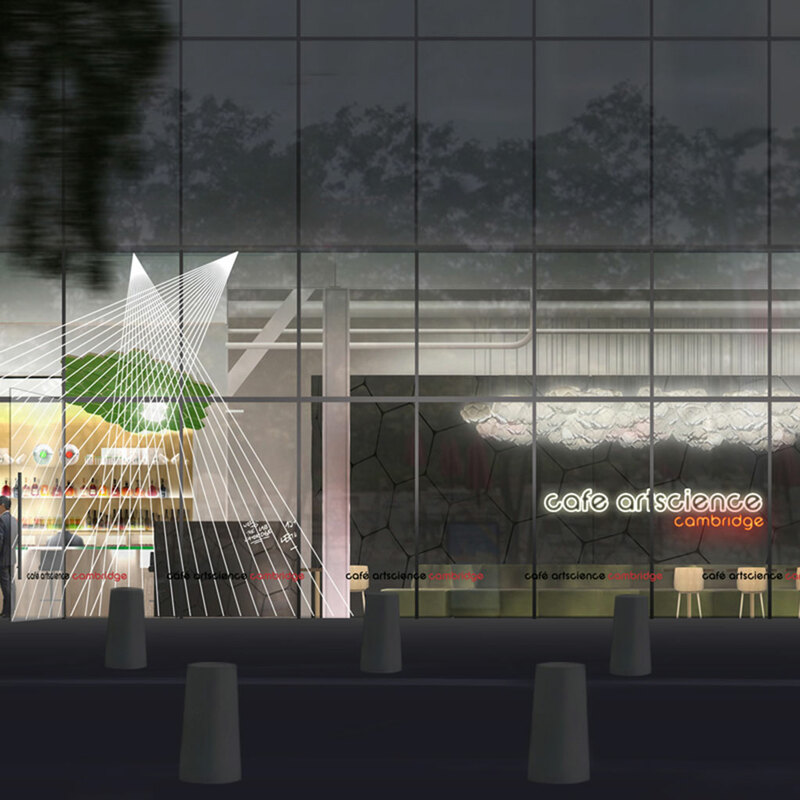 If you want to eat or breathe at Café ArtScience, reservations are available right now via OpenTable.